Facebook Messenger can be a great way to keep in touch with your friends. The service works on desktop computers as well as iOS and Android, making it a universal way for people to keep in touch regardless of what kind of computer (or phone) they’re using or even where they’re located in the world. While most people probably know the basics of sending and receiving messages with the service, Facebook Messenger has a number of hidden features that many users don’t even realize are available to them. You've probably heard friends refer to them as "hidden messages on Facebook" but, in reality, many of them involve more than just a simple message. These features range from secret chats to hidden games. Let's see what the features are, how they work, and how you can best take advantage of them. If you want to chat without the distractions of the rest of Facebook, run Facebook Messenger in its own window. That means you can chat with friends all day on the service without fear that you’ll end up losing an hour looking at videos of a friend’s new puppy. To get to the Messenger page, just go to messenger.com in your browser. 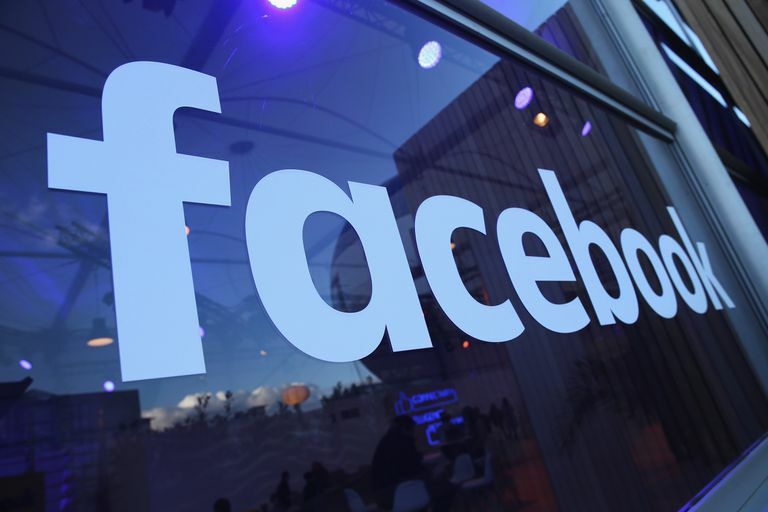 From there you’ll be prompted to enter in your Facebook credentials, and then you’ll have access to a fullscreen version of the Messaging client. It doesn’t have all the same functionality as the mobile or desktop version, but most of the important stuff is there and you’ll be able to chat without (too many) distractions. If you haven't interacted with a chat before, it's not really different than chatting with a friend. You use a chatbot from within Messenger, but instead of a person, it's a computer program running artificial intelligence to compose its messages to you. TODAY Food: Stay up to date on the latest food news and find quick recipes. Skyscanner: Let Skyscanner's Messenger bot help you find a flight for your next big vacation. Boost: Need a little pick me up? The Boost bot will offer you motivational sayings on demand to help keep you going. Sometimes you want to make sure the conversation you’re having with a friend really is private. While Facebook arguably isn’t the best place to send anyone sensitive information, the social network rolled out a way to have encrypted conversations on the platform. Secret conversations are encrypted form end-to-end, and can only be read by you and your recipient. Not even Facebook will be able to access what they contained. To activate the feature, compose a new message using the iOS or Android app. At the top right of the page you’ll see a Secret option on iOS or a lock icon on Android. A timer box will then appear that allows you to set a time limit on viewing the message should you want to do so. For instance, you could make a photo self-destruct after just 10 seconds. Keep in mind that even if the photo does self-destruct, nothing is stopping anyone from taking a picture of the screen while the photo is displayed. At some point or another, we all have to send cash to a friend. Whether you’re reimbursing someone for your half of lunch, concert tickets, or just want to treat them to a beer from far away — figuring out how to send a friend cash can sometimes be challenging. Well, now you can actually send cash to your friends using Facebook for free. To do so, just click the dollar sign at the bottom of the Messenger window with that person. From there you can specify the amount you’d like to send (you’ll need to also connect a debit card to Facebook). When you send cash, that money will be debited from your account and deposited in your friend's account provided he or she has also tied their debit card to Facebook. Just like you might send an attachment via email, you can attach files to a Facebook Messenger message and send them to friends. If you’ve accessed Facebook Messenger via the web, either through Facebook’s website or the dedicated Messenger site, then you can upload a file by clicking the paperclip icon at the bottom of the display. Files you transfer have to be under 25MB in size. That’s the same requirement you’re given when attaching files to email messages in Gmail; however, in the case of Gmail you’re able to attached Google Drive files that are considerably larger. Regardless of where your family or friends reside (or you for that mattter), Facebook lets you place a video or audio call to anyone on your friend's list. That means that you can video chat with your uncle in Wales or your bestie that's studying abroad in Japan for free. Keep in mind, this will use data rather than cell minutes, so you'll likely want to be connected to Wi-Fi before you dial. You can change the color of each conversation you have within Facebook Messenger. So, your husband could be red, kids yellow, and best friend purple. It seems simple, but if you routinely talk to several people at once using Messenger it can be a great way to keep things organized and make sure you’re sending that kissy face emoji to your boyfriend, not a friend from high school. To change the color of your conversation, click the gear icon at the top of the chat window. Scroll down to Change Color and then select the color you would like the text in your conversations to show up as going forward. The color change will be visible to both you and the person on the other end of the chat. When you send a heart within Facebook Messenger you’re not just sending one heart, you’re sending hundreds. Give it a try. Send the heart emoji to a loved one using Messenger and then keep your eyes on the chat window. A few seconds later dozens of hearts will float up from the bottom of the screen. If you have the sound turned up on your device you’ll also hear a bubble sound as they fly up, and just like balloons, you can catch them if you move fast enough. Try grabbing a few with your finger on their way up! Yeah, it's true that this doesn't make you more productive, but both you and the recipient will feel better. And, hey, it's fun, too. Just like the heart emoji triggers an influx of hearts, the basketball and soccer ball emojis also have some hidden talents. If you send a friend the basketball emoji, here or she can tap on it to launch a simple, playable basketball game. Likewise, sending the soccer ball emoji can trigger a small, playable soccer game within the chat window. Facebook Messenger defaults to having a thumbs up emoji as the prime emoji for each conversation, but you can change that. If you find yourself sending a friend the same emoji over and over again on Facebook, you can change that emoji to be the default one for your convo with that person. That means it will show up on the bottom right of the chat window where the thumbs up one was. For instance, I have a heart emoji for conversations with my boyfriend and a beer emoji for conversations with my friend Chris. The whole emoji keyboard is available for this feature, and it can be a fun way to spice up and personalize your chats. To make the change you'll need to be either using the mobile app or the Messenger website. Go into Options, and then select Change Emoji from the available list. Keep in mind, this will change the default emoji for the person you're chatting with as well. The side of emoji in Facebook Messenger is adjustable if you know where to look. In fact, there are actually a few different sizes of all of Facebook’s emoji’s available. To supersize your emoji, just press and hold it. The emoji will gradually grow on the screen. Let go to have it stay at that size and be sent to your friend. If you have the volume turned up on your phone or computer, then Facebook will play a sound effect along with the growing that sounds similar to a balloon filling with air. Just like a balloon, if you try to blow it up too big, the emoji will burst and you’ll need to try again. Sometimes words or a still picture won't be enough justice for your message. That's where a video will come in handy. Within the Messenger app, just press and hold down the shutter button located at the bottom of the page to record a video. Videos can be up to 15 seconds in length. Once you’re done with the recording, you can add emojis and text to your video by clicking on the icons at the top right side of the page. When you’re done, click the arrow at the bottom right to select which friends you’d like to send your video creation to. You can also download your video using the arrow icon at the bottom left side of the screen. Once on your phone, you’ll be able to do things like upload it to your Facebook wall, post it on Twitter, or send the video via text to friends that don’t use Facebook Messenger. Even thought there are a lot of stickers included by default inside Facebook Messenger, it's never enough, right? Luckily, you’re not limited to just the stickers provided within Facebook Messenger. To access the options, click the sticker emoji (the smiling face at the bottom of ​your chat window) and then press the plus button at the top right of the window. From there you’ll be able to see all the sticker packs available and select the ones you’d like to use. Sending the message is half the battle. Knowing the recipient has read it, is another. Just tap on the chat bubble within the iOS or Android app, and you’ll see the time it was read right below it. On desktop, you can see when a message was read when that person's Facebook picture appears beside the message in question. Facebook added a way to play some of its most popular games directly within Messenger. What that means is you can start playing a game with a friend right in the middle of a conversation with that friend, without ever having to leave the Messenger window. Confused? Click on the game controller icon at the bottom of your chat window to see what games are available. Find one you like, such as Pac-Man, and play the game right there, with no need to download anything or leave Messenger. After you’re done, your friend will receive a challenge from your within Messenger to beat your score. The games are free to play, and there are a ton of options already, with more likely to be added in the future.